Chinese politics from the provinces: Can A Single Spark Still Start A Prairie Fire? Maybe, unless everyone calms down. To many observers, the episode confirmed that China is comprised largely of overly sensitive nationalists out to defend their country and culture to anything that even partially offends. International media coverage of China’s cyberspace has sprinted from the view a few years ago that blogging will change China by opening up civil society to now depicting social media here as juvenile, angry, and just good for a single quote. It was never either, and never shall be. It’s true that China’s social media--when it comes to politics—can be a cesspool, with only the odd island to stand on and sponge off the filth. Few here post on sensitive political issues, but those who do so regularly are often insightful and interesting to read. And what’s sensitive tomorrow may not yet be so today, so there is some space for nuance if done cautiously and well. That’s frequently the case with statements in the State media here, particularly at the local level where officials often afford commentators some measure of political cover. Yang’s speech was pretty mundane and uninspiring. But the reaction on social media prompted a response from a local Nanjing newspaper, 东方卫报--a paper whose abbreviated version is distributed for free in the city’s subway stations. The commentary is restrained and quite remarkable. But at the same time, the reaction to Yang’s address speech on social media hasn't been entirely helpful, according to the commentary. Indeed, “to criticize the speech blinded by blood emotions isn’t constructive either [盲目热血地批评], even if it’s done in a loud and clear voice from the heart, just produces negative energy as well”, the piece argues. That’s for Yang, but it’s also clearly aimed at the yellers. 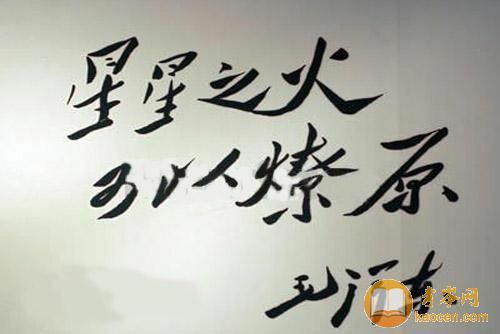 The commentary concludes by saying that a person’s every phrase isn’t worth paying undue attention to [一人一言一语微不足道], that, at its most dangerous, a statement can be “a single spark that can start a prairie fire” [星星之火却可以燎原]. So that's the message: That it’s not helpful for China if social progress gets lost amidst the shouting; that calm is called for. Clearly, someone is worried about how this all looks abroad and probably more so to the central leadership in Beijing, especially if some in the Chinese public start asking where the current political strongmen stand on all this. It will be interesting to see if local officials take this measured commentary in a minor newspaper as an instruction to step in and stop the discussion, or if some find the current inferno more appealing and worth stoking. Sometimes a single fire cannot be made back into a spark. Ask Mao, and ask China. It’s not clear why Yang was selected, or if University administrators reviewed her speech before it was delivered—something that would be standard practice at many schools. Some have speculated that there were more nefarious motives at work, for which there’s no evidence.